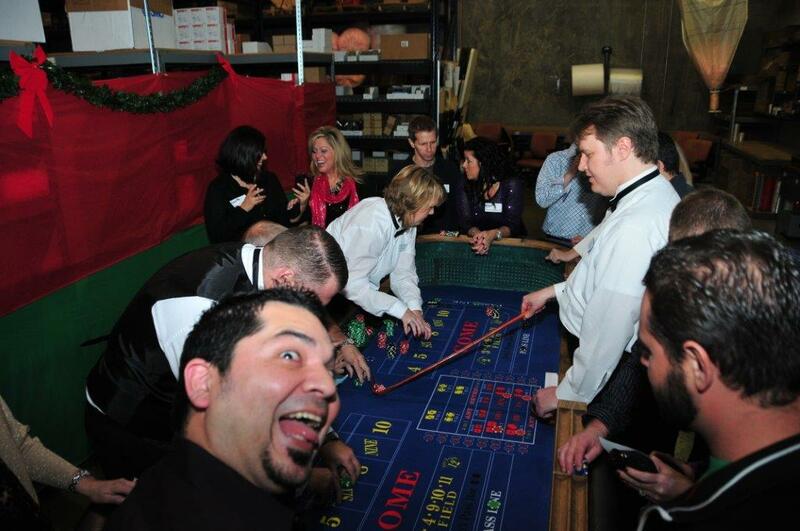 Purchasing chief Jesse Simental’s penchant for photo bombs. Join our team and you’ll find out, too. Also, what is the guy on his knees doing? Introduction to the built-in safety feature of Yaskawa’s Sigma-5 Servo Amplifier. 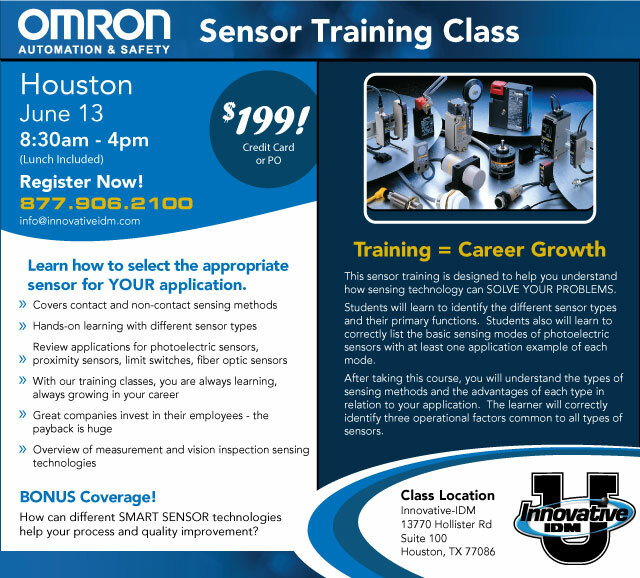 Topics include: Safety Standards Certificate, Safety Circuit, Logic, Stop Method, Exampls, Details, and FAQ. Before you send in your circuit boards, sensors, temperature controllers, motion controllers, drives and other devices, know what to look for in a repair service. Drink M achine Incorporated (DMI) announced that Pepper Hastings, VP of Carbonation and Serpentine Feeding Systems, was named DMI Employee of the Month for May 2013. 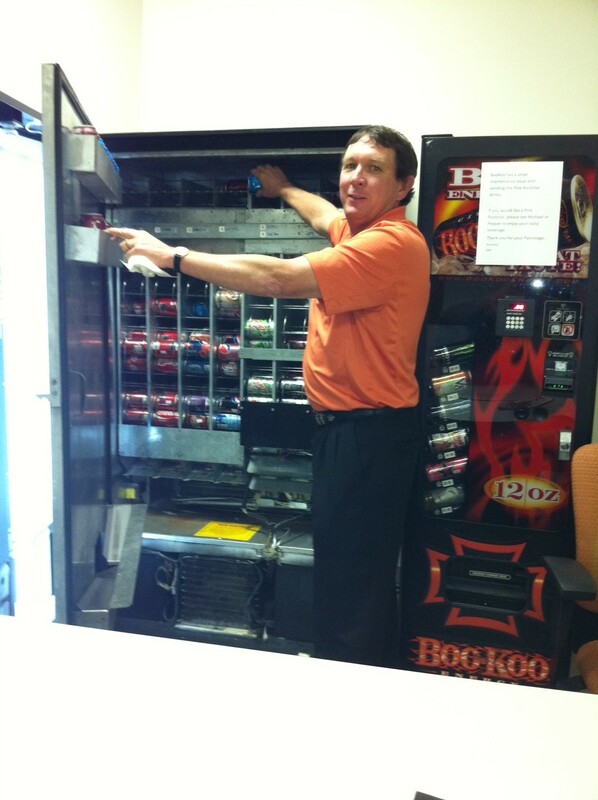 Hastings is pictured below after declaring all is well with Drink Machine’s 28-can cooling shelf and feeding system. Mueller pointed out some of the advantages of being employed by DMI, including no additional compensation AND travel to exciting exotic locations such as Tom Thumb, Albertsons, Costco and Kroger. Mueller says Hastings was treated to a handshake and a Refreshe brand cherry cola in a sparsely attended, brief ceremony at DMI headquarters Tuesday afternoon. 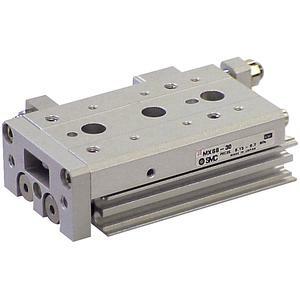 Applications that call for precise movement ranging from 10-150mm (1/2-6″) typically require a cylinder and a precision guide. The MXS accomplishes this by integrating a cross roller bearing with a guide and two small air cylinders for compact force generation. The MXS is available in six sizes each with set stroke lengths and is standard with auto switch capability. Stroke adjustments are available for extend, retract, or both in ranges of 0-5mm, 0-15mm, and 0-25mm. In addition, there are many other standard options that include, shock absorbers, end lock, axial piping, and buffer. For more information or to order your SMC MXS, Air Slide Table, Cross Roller Guide Contact Innovative-IDM at info@iidm.com or give us a call at 877.906.2100. 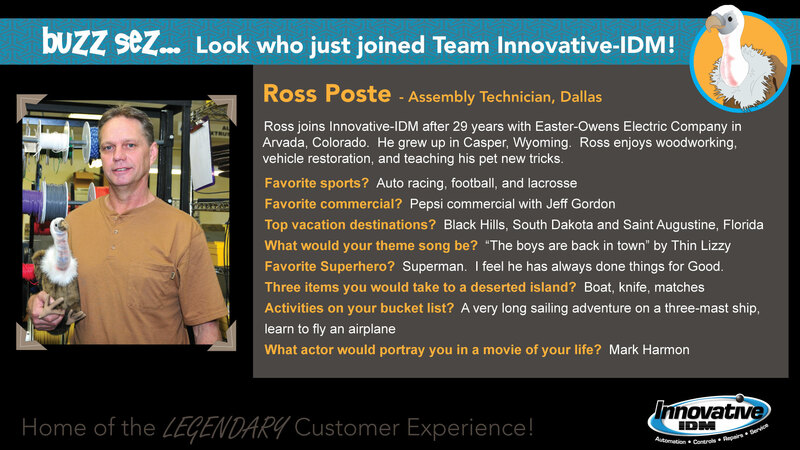 Join Buzz in welcoming Ross Poste to Innovative-IDM. Ross joins Innovative-IDM after 29 years with Easter-Owens Electric Company in Arvada, Colorado. He grew up in Casper, Wyoming. Ross enjoys woodworking, vehicle restoration, and teaching his pet new tricks.